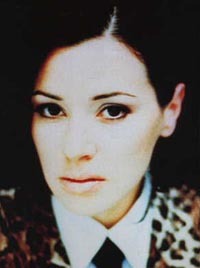 "Dare You To Be Happy"
"Dare You To Be Happy" is the follow up single to Tina Arena's Top 5 Airplay hit "Soul Mate #9". "Dare You To Be Happy" is taken from Tina's new album "Just Me", which is already GOLD. Co-written by Tina Arena and Peter Vettese (Geri Halliwell, Annie Lennox) and produced by Nile Rodgers (Madonna, David Bowie). Brilliant new video will be delivered w/c December 10th. "Dare You To Be Happy" live performance is currently on High Rotation on Channel [V]. The Corrs - The best of!